Arrival Porto. Meet and Great at Porto Airport. Transfer from Airport to Hotel, in Porto. Check In. Overnight at hotel. Optional dinner from 35 Euros per person. 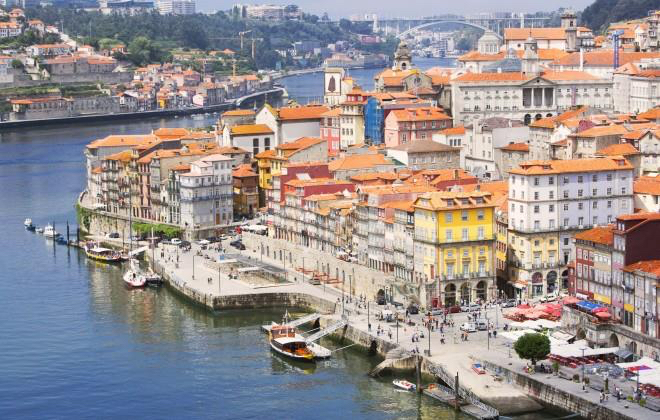 Porto – Capital and gateway to the north of Portugal, Porto is both the city that provided a nation with a name and a fortified wine known world-wide: port. With its splendid geographical location on the mouth of the river Douro and an architectural heritage of exceptional quality, the historic centre of Porto was declared UNESCO World Heritage Site in 1996. Breakfast at hotel. Check out hotel in Porto and departure in direction to Ílhavo – formerly called Illabum which is believed to have been originally settled by the Greeks. Visit the Vista Alegre Factory that for 170 years has been producing world famous porcelain. The factory features a museum, stores and an interesting complex of industrial buildings dotted along the banks of the river providing a truly worthy stop off on any tour of the region. Lunch at local restaurant. After lunch, departure to Aveiro – intersected by canals, genuine streets of water, along which can be seen gliding the brightly coloured boats known as barcos moliceiros. Visit Ria Waterways on a Moliceiro boat and a Pastry Workshop of “ovos moles” (typical pastry). Afternoon drive to Viseu, which still retains a medieval feel to what was once a walled centre and has been an important crossroads since Roman times. Dinner and overnight at hotel in Viseu. Breakfast at hotel. Morning sightseeing tour in Viseu. Our first stop will be to Ciudad Rodrigo – which has Historic-Artistic Site status, is a famous fortified town situated in the west of the province of Salamanca. Its walls enclose a rich heritage of civic and religious buildings, the most important of which are the Cathedral and the Castle. Panoramic visit and free time. Lunch at local restaurant. Depart towards Salamanca. Dinner and overnight at hotel in Salamanca. Breakfast at hotel. Morning sightseeing tour in Salamanca. Depart towards Zamora. Panoramic visit of the city of Zamora, which preserves in its old town an important legacy of Romanesque art that has earned it the declaration of Historic-Artistic site. Set on the banks of the River Duero and right on the Via de la Plata (Silver Road) route, its medieval importance has left a mark in the shape of walls, palaces and churches. Lunch at local restaurant. Depart towards Santiago de Compostela, through Via de la Plata (Silver Road) route – the longest of the pilgrim routes in Spain, starting from Seville in Andalucia, and running northwards through the provinces of Extremadura and Castilla y Leon to Salamanca and Zamora. Dinner and overnight at hotel in Santiago de Compostela – the final stop on the epic Camino de Santiago pilgrimage trail. Morning visit to Santiago de Compostela. Take a city tour of this legendary pilgrimage town and visit sites such as Plaza del Obradoiro and the imposing Cathedral, said to be burial site of one of the apostles of Jesus. Lunch in local restaurant. Free afternoon. Dinner and overnight at hotel inSantiago de Compostela. Breakfast at hotel. 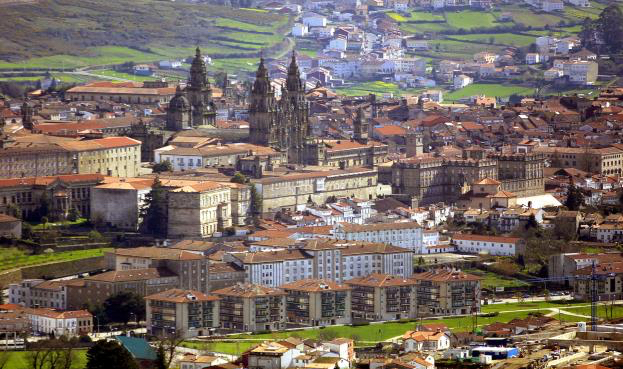 Depart Santiago towards Pontevedra, a city with a long maritime and trading tradition, boasts one of the largest and most elegant historic quarters in the whole of Galicia. Situated on the edge of the estuary of the same name, the old town extends in a network of streets and squares and contains major civic and religious buildings. Panoramic city tour. Depart towards Vigo – a historic and cultured city or a gritty industrial port. Home to Europe’s largest fishing fleet, this is an axis of commerce in northern Spain. Brief stop. Depart towards the magestic Baiona (leaving Spain and returning to Portugal) from where the discovery of America was announced to the world. Stop in Monção – once an important fortification along the border with Spain.The town’s big claim to fame is its fine vinho verde, with signs touting Monção as the cradle of the refreshing Alvarinho wine. Lunch at local restaurant. Depart towards Valença do Minho – breath the air of this atmospheric fort village above the picturesque River Minho. Brief stop. Depart towards Ponte de Lima – a photogenic town by the sweet and mellow Rio Lima, the small historic centre dotted with cafes and vast riverside gardens and greenways. Check In hotel in Ponte de Lima. Free time. Dinner and overnight at hotel in Ponte de Lima. Breakfast at hotel. Morning sightseeing and panoramic tour in Ponte de Lima. Depart towards Viana do Castelo – the jewel of the Costa Verde, Viana do Castelo is blessed with both an appealing medieval centre and lovely beaches just outside the city. Next stop will be Póvoa de Varzim, a city that sits in a sandy coastal plain, a cuspate foreland, halfway between the Minho and Douro rivers. Departure in direction to Guimarães – the historic town centre is listed as UNESCO World Heritage Site since 2001, in recognition for being an “exceptionally well-preserved and authentic example of the evolution of a medieval settlement into a modern town” in Europe. Lunch in local restaurant. Depart towards Douro Valley – the oldest demarcated wine region in the world. Dinner and overnight at hotel in Douro Valley. Morning visit, wine tasting and lunch at Quinta da Pacheca – set in the majestic Douro Valley, where it is possible to discover all the richness of Douro Valley Region. Guided on the estate you will discover our history and winemaking process. Afternoon cruise in river Douro. Free time. Dinner and overnight at hotel in Douro Valley. Breakfast at hotel. Depart Douro Valley towards Vila Real. Visit Palace and Gardens de Casa de Mateus – built in the first half of the 18th century by António José Botelho Mourão, 3rd Morgado de Mateus. This replaced the former family house which had stood on the site since the beginning of the 17th century. In 1910, it was classified as a National Monument. Lunch at a local restaurant. Depart towards Porto. Check In hotel in Porto. Free time. Dinner and overnight in Porto. Breakfast at hotel. Free morning to enjoy the city. Transfer to Porto Airport for return. Price per person. Land package only. (Excludes airfare). Price includes: Bus service 53-seater with driver and English-speaking guide; porterage at hotels, daily breakfast (B), lunch (L), dinner (D), and guided tours. Accommodation in 4* or 5* hotels. Travel arrangements are being assisted by Lusitano Club on behalf of traveler and Braga Travel. Complete passport names and birthdates required at time of booking. 40% trip payment due by July 31; Balance due by Sept 1, 2018. Payment accepted with checks payable to Braga Travel and mail to Lusitano Club, 582 Market St # 2001, San Francisco, CA 94104 or via credit card VISA/MC with 3% surcharge. DISCLAIMER: PRICING INFORMATION PROVIDED BY BRAGA TRAVEL, MIAMI, FORIDA FOR LUSITANO CLUB, AND UNTIL FINALIZED AT BOOKING, MAY BE SUBJECT TO CHANGE. PRICING BASED ON THE USD/EURO EXCHANGE RATE AS OF 3/24/2018 1 EURO TO USD 1.236. ADDITIONAL 3% SURCHARGE FOR CREDIT CARD PROCESSING. ALL TRIP CHARGES WILL BE PROCESSED BY BRAGA TRAVEL. NEITHER LUSITANO CLUB OF CALIFORNIA NOR ANY OF ITS OFFICERS/DIRECTORS SHALL BE LIABLE TO ANY MEMBER OR ANYONE ELSE FOR ANY DAMAGES RESULTING THEREFROM.